Exit Planning is for every owner, regardless of Exit Path. It involves setting goals, assessing the Asset Gap, building and protecting business value, picking an Exit Path, and designing the transfer. Pre-sale planning applies only to owners who have chosen a sale to a third party as the Exit Path best able to achieve their goals. It is essentially the same as Exit Planning, modified only to include using a transaction intermediary to estimate business value rather than a business appraiser. Pre-sale due diligence also applies to owners who have chosen to exit via a sale to a third party. Prior to putting a company on the market, pre-sale due diligence is the process advisors use to identify and correct any possible impediments to a sale or issues that might cause a buyer to reduce its offer. Once an owner signs a letter of intent, the buyer kicks off its due diligence process. When an experienced buyer does due diligence, that buyer’s deal team (deal attorney, CPA, and investment banker) leaves no stone unturned. The process is exhaustive, and to owners, exhausting. If a buyer uncovers problems or issues, owners must address and correct them to the buyer’s satisfaction or the buyer will “adjust” its offer, which often means lowering the price. Explaining, correcting, and eliminating issues takes time, perhaps weeks or months, if the buyer does not walk away in the first place. A strong offense, in the form of pre-sale due diligence before the owner goes to market, is an owner’s best defense against purchase-price adjustments, and it differs from the due diligence buyers (and possible lenders) conduct as part of the sale process. Buyers typically conduct their due diligence after they have signed a letter of intent. Advisors should guide owners through pre-sale planning and pre-sale due diligence before they put their companies on the market. Doing so allows the advisor, the owner, and the owner’s deal team to uncover and correct issues before a buyer discovers them. Saves Time. 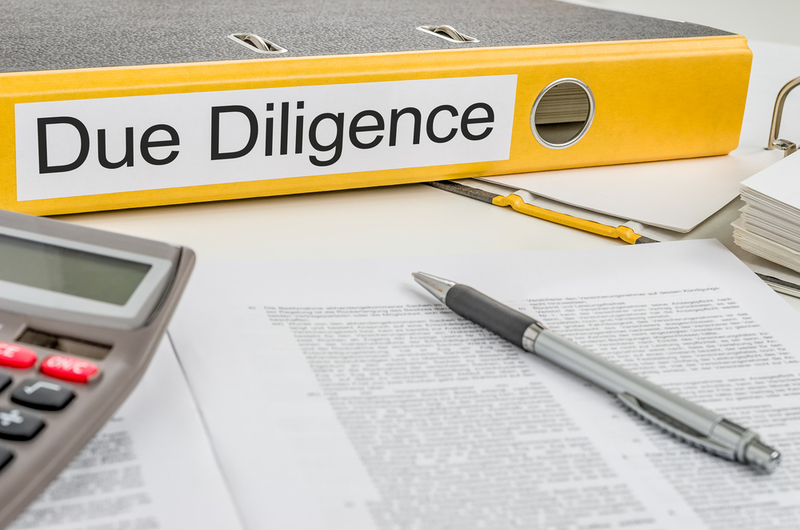 Recent studies have demonstrated a link between the duration of due diligence and the likelihood of success: The shorter the due diligence process, the higher the probability of a successful transaction. By discovering and correcting problems and issues before due diligence begins, owners save time (hours, days, and weeks) and, quite possibly, the transaction itself. Saves Money. When presented with the idea of conducting pre-sale due diligence, owners will likely say that it is too expensive, especially if a buyer hasn’t even approached the table. They will ask why they can’t wait until the buyer signs a letter of intent. What owners may not realize is that some problems (e.g., regulatory issues) take months or years to resolve. It is better to uncover those issues before incurring the significant costs involved in going to the market. Spending time, effort, and cash on going to market without first (a) engaging in pre-sale planning and due diligence and (b) retaining a deal team to provide an estimate of the likely sale price and deal terms is a waste. Protects and Increases the Purchase Price. When advisors and owners engage in Exit Planning fully prior to choosing the third-party Exit Path—and the transaction intermediary’s estimated price and deal terms are satisfactory to the owner—the time, effort, and money owners spend on pre-sale due diligence enhances both sale price and the probability of closing. Protects the Owner’s Goals. In addition to saving money, pre-sale due diligence gives owners assurance that the sale will achieve their goals. Protects the Owner. Buyers require owners/sellers to “guarantee” the accuracy of the statements they make about their businesses in a long list of representations and warranties. Should a buyer find that any of the representations that the owner makes to be inaccurate, the buyer has recourse to demand that the owner indemnify it for any losses it suffers as a result. It is critical that sellers make time to review and approve every business document before it is released to a prospective buyer during a sale process. That one pre-sale activity alone gives us the time necessary to correct issues that will come back to bite the owner when a buyer either bases its letter of intent on a misstatement or finds one during its due diligence. This article concludes our series on pre-sale planning. We hope it has provided insight into the important role advisors play in helping prepare owners (and their businesses) for sale before the sale process begins. Jumping into the sale process unprepared costs owners time, money, effort, and possibly the deal itself.